Does shopping online excite you more than going to stores and exploring stuff? Is retail therapy a concept that you cannot relate to? If this is the scenario of your shopping life, then you are probably missing out on lot of good things. Shopping in India is nowhere even close to the uninteresting idea of going to a shopping mall and swiping your card to get what you want. With much more excitement and a lot of emotions attached, you can explore a whole new world of shopping in different cities of this country. Following are the top 5 destinations in India that will completely satisfy the shopaholic inside you. Delhi will always be number one on the list of shopping destinations in India. This place will not only endow you with everything but will also give you an experience of a lifetime. Exploring the snazzy markets of Vasant Kunj or Rajouri to a colourful journey through the shops of Dilli Haat and the hustle bustle of flea markets like Sarojini Nagar and Palika Bazar, this place is charmful and a complete delight. Choose from the cheapest flights to Delhi and plan a shopping tour to this place soon. Mumbai is known as the “City of Dreams” and for shopaholics, this place is simply a paradise. A good combination of malls, designer shops, flea markets and various shopping centres, Mumbai has something for everyone. Some of the famous names include Fashion Street and Linking Road which will endow you with cool accessories, superb clothing line and beautiful artefacts. 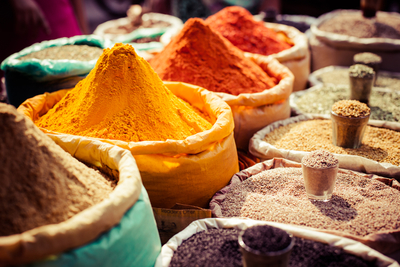 For shopping places with food outlets, you can cover places in South Mumbai like Colaba Causeway and Zaveri Bazaar. 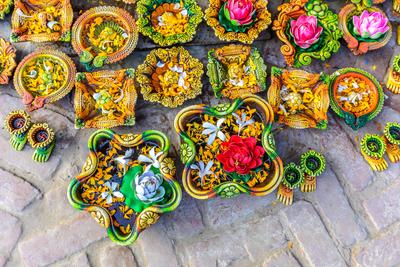 Being one of the largest shopping destination in East India, Kolkata deals with some of the most beautiful handicrafts which make their way to the markets from North-East. Some popular shopping places in this city include Assam Craft Emporium and Nagaland Emporium. Apart from these, you can also visit markets like The New Market and Park Street for red bordered saris, books, leather bags and different delicious sweets. 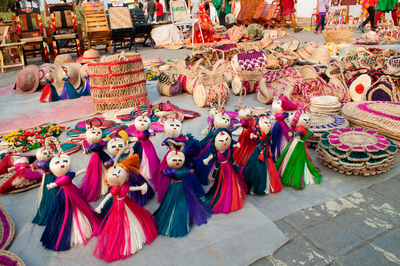 Jaipur, the Pink City celebrates shopping like no other. With so many hues and emotions, you can explore a whole world of vibrance and charisma. Visit markets like Jhohari bazaar and Bapu bazaar to get hold of some Rajasthani prints like bandhanis, batik and lehariyas. 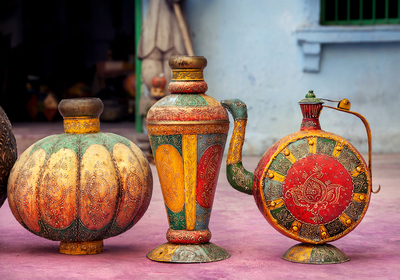 You can also find other specialities of Jaipur like blue pottery, silverware, lac bangles and silver jewellery. They are not only affordable but authentic and durable too. If you are looking for fancier stuff in Jaipur, you will have a lot of choices but definitely with a higher price. You can also have fun at the different fairs and expos held in this city with the lot of talent on exhibit. Hyderabad is one beautiful city with a gorgeous collection of pearls. If you are looking for Hyderabadi pearls and other type of semi-precious jewellery, you can visit Laad Bazaar. Other popular things along with pearls include the famous Khara dupatta, electronics and beautiful antiques. This can be scored from Begum Bazaar and Abids. Thanks for an interesting article about shopping in India.